New remix contest by Korner House Records. 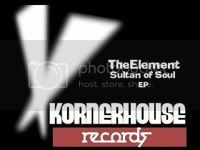 Remix the house track “Sultan Of Soul” by TheElement and get signed to the label. Good luck! To Celebrate the launch of a new UK independant record label Kornerhouse Records would like to invite producers to remix kornerhouse records 1st release. The track to be remixed is a house track by TheElement called Sultan of Soul. The remixes should be in the style of house, electro house and progressive house. There will be 2 winners chosen by kornerhouse records, the 2 remixes chosen will be professionaly mastered and digitally released alongside the original as kornerhouses 1st flagship release,also both winners will be on the featured artist slot on the kornerhouse music community and will also be signed to kornerhouse records. Only 1 submission per entry allowed. Genres, house, electro house & progressive house. Must add your name into the thread to enter contest http://kornerhouse.ning.com/group/kornerhouseremixcompmarchtoapril2010. Once you have added your name into the thread, you need to private message or email admin for the download link to the remix stems digital-revolution@live.co.uk or kornerhouserecords@live.co.uk Or download the remix parts from this link http://www.sendspace.com/file/43774q . Closing date is 31st March.